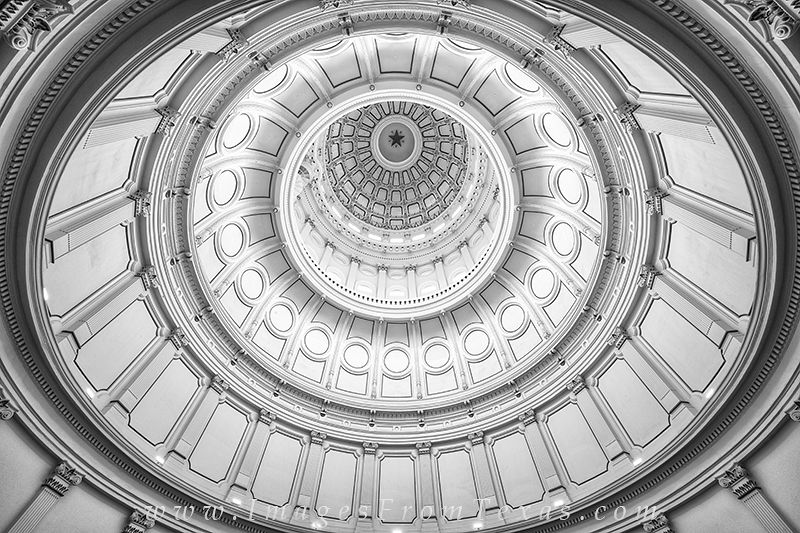 This black and white photograph shows the interior of the Texas State Capitol dome. Using a wide angle lens from the 3rd floor, I wanted to show the unique architecture that visitors enjoy at the capitol in Austin. Photo © copyright by Rob Greebon.